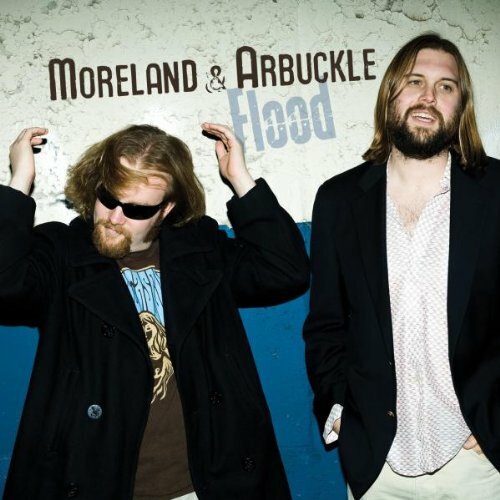 Dustin Arbuckle and Aaron Moreland have been working together on the blues scene for quite some time, self-releasing a series of albums before making the jump to Telarc for their 2010 release Flood. It has been a fixture on the Billboard Blues chart since its release and continues to get significant airplay at blues radio. There is a fine line between fashioning a collection of songs that coalesce into a whole and fatiguing listeners with an unrelenting style or sound. Flood is more the former but is at times guilty of the latter, having two primary sounds from which their songs are birthed: the thick, sludgy, visceral mixture of electric blues and roots and a more traditional, spare acoustic style. The first songs introduce that first formula as well as a standard of quality the rest of the album competes to maintain. It is a thrilling, fiery opening against which the rest of the record must compete. They often succeed but cannot quite maintain that same intensity. They open with a version of Little Walter's "Hate To See You Go," which doesn't deviate much structurally from the original but has been sped up a bit. Where Moreland & Arbuckle make the song their own is the way they attach their thicker sound to it. It's modern by comparison to the original but one that maintains a rustic feel, a seeming contradiction supplied by Moreland's sharper, grittier guitar tones. Bartholomew J. Simpson recorded the definitive version of the timeless folk classic "Legend of John Henry" but M&A have done something impressive, taking a well-known song and bending it to their will until it sounds as much a part of their sound as their originals. Moreland eagerly unfurls different guitar sounds and attacks over the course of six minutes and Arbuckle's distorted, amplified harp wails while what sounds like some Mark Sandman-inspired bass swerves between the sounds. They make the wise tactical move of placing one of the deviations from their hard, sludgy mix of roots and blues immediately after the powerhouse opening quartet, slowing things down with the spare, acoustic "Your Man Won't Ever Know." Where "Your Man Won't Ever Know" is a nice acoustic sketch, "Can't Leave Well Enough Alone" is fully formed and the best of the acoustic offerings on the album. "Don't Wake Me" is only one of 10,000 or more songs that too closely resemble "Dust My Broom" and "Can't Get Clear" tries to be as epic as "18 Counties" but comes up a little short and stays a little too long.